Three years ago today Roger Ebert passed away. I remember getting the news at the day job and being rocked to my core by it. 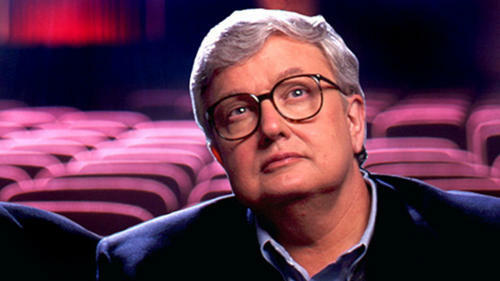 Ebert was responsible for feeding my passion for film and he was, in some way what I hoped to achieve with Unseen Films. What was really weird for me was the fact that the news broke an hour or two before I was going to be heading off to the Tribeca Screening Room to see a couple of playing at the Tribeca Film Festival. The king was dead, but the kingdom was going on, it was just going to fall to a new bunch of people to carry on the conversation. I am at work and I'm on the phone with Randi. We're talking about some personal stuff, "I've emailed you some stuff... we'll talk later can't talk now..."
And then for an instant and email notification on my screen- simple message- Rogert Ebert has died. And I say, not quite comprehending "Roger Ebert has Died"
I disconnect and I go elsewhere- which is what happens when someone dies. I continue having a conversation with Randi but I'll remember none of it. I can't cry in my office, people in my office will think its weird. But I want to cry because like Spike Milligan and Douglas Adams and several other people I've never met, they shaped me into who I am almost as much, maybe more than the people I see everyday. Ebert's reviews broke me away from the cineaste high falooting film writing and made it human and personable. He and Siskel made me love movies more. And so I hang up and I go on line- I have to say something-I have to hear what other people are saying. I twitter a few things. A few people I follow are saying somethings. And then it gets weird because now I realize that its all been left to us- to me -to everyone who writes on film- and its weird because in a few minutes I'm going to be going into the city to go to some press screenings and do what he loved to do.